Back in 2010 the science fiction community was treated to a most unusual novel with the debut release by Dexter Palmer, The Dream of Perpetual Motion. Fans have had to wait six long years since then for Mr. Palmer’s follow up, but at long last the wait has been rewarded with his sophomore effort Version Control. Whereas The Dream was a literary retelling of William Shakespeare’s The Tempest glimpsed through the lens of a “retro-style future,” Version Control is something completely different—and very contemporary. The setting is difficult to describe, because it’s basically America in the Information Age. People spend most of their time immersed in their personal devices. Facebook, gaming, and online dating are the norms of socialization. (There’s a brilliant chapter dedicated to all this, appropriately titled “The Silent World.”) And with a somewhat eerie prediction (as the book was written between 2008 and 2015), there are insurgent patriotic militia making stands for independence from the United States (in this case, in the Dakotas). The setting is, for all intents and purposes, the current 21st century United States—but with a few key “wrinkles” of technological advancement that drape an uncanny veil over everything. The president has an almost omniscient capacity, appearing in TVs, computers, phones, tablets, and a slew of other screens throughout the land, sharing disquietingly personalized video messages to every individual. Automated systems in cars are used to the point that manual driving is a dying art. A child in one scene wears a tie with an LCD display that warns when he’s straying too far from his parents. And of course, there’s a certain device that is key to the plot. . . . It is in this world that the reader is introduced to Rebecca Wright, an unhappy woman who works as a customer support representative for a dating site called Lovability. Her husband, Philip Steiner, is a renowned scientist who is working on a government funded project, the Causality Violation Device (which he and other characters humorlessly insist is not to be referred to—or even thought of—as a “time machine”). As the tale unfolds a number of other fully realized characters are introduced: Rebecca’s best friend Kathryn, Philip’s lab partners Alicia and Carson, and Rebecca’s preacher father Woody. Rebecca is still reeling from a personal tragedy (which is only very gradually divulged), one which has been leaving her feeling that there is something subtly, but definitely, wrong about the world in which she lives. Instead of the plot advancing the development of the characters, the emphasis on character growth drives the plot. Some readers may be turned off by this dedication to exposition, but it’s so richly told and profoundly layered that it’s quite lovely to read. There are some excellent conversations between characters about race, gender, and equality, deftly handled so as to not come across as preachy or scholarly but very real and accessible. There are also some powerfully touching moments of pathos and a surprising amount of very intentional humor throughout. As the tale progresses, there are a few jarring shifts of narrative that may leave the reader blinking and flipping back a few pages to make sure that she or he understands what has just occurred. It is with these origami-like turns of storytelling that the subtle beauty of the book really shines and makes it that much more brilliant. Version Control is a mature and fully realized tale of personal growth, endurance, and scientific progress, full of wonder and heartbreak. With Mr. Palmer’s distinctive voice, it is at once lucid and surreal. 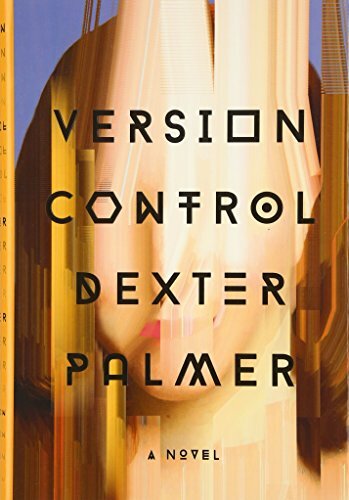 Fulfilling all the literary promise of The Dream of Perpetual Motion, Version Control is a welcome and powerful follow up from a very talented science fiction author. Fans can only hope that Mr. Palmer’s next book doesn’t take another six years to appear.